Connect with the heart chakra – GemPowerment. Reveal your light. 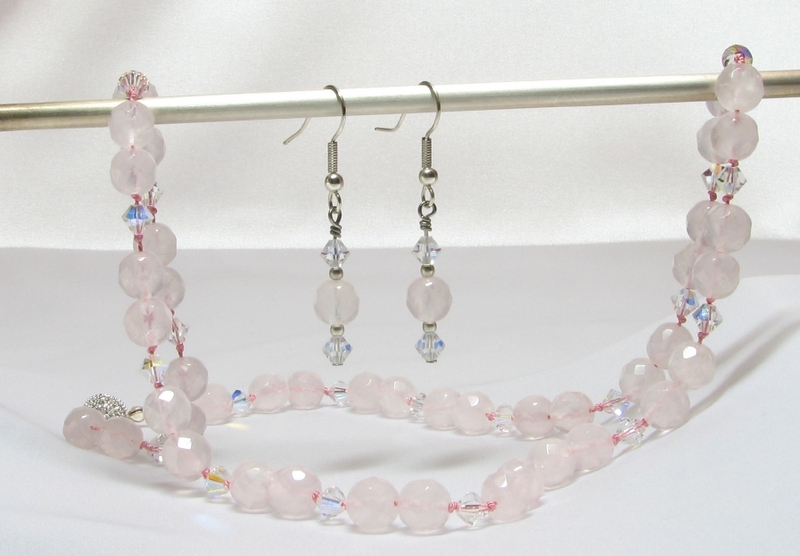 8mm Faceted Rose Quartz spheres and 6mm Iridescent Clear Bicone Swarovski crystals hand-knotted on Rose silk with crystal-encrusted bead clasp necklace and earring set. 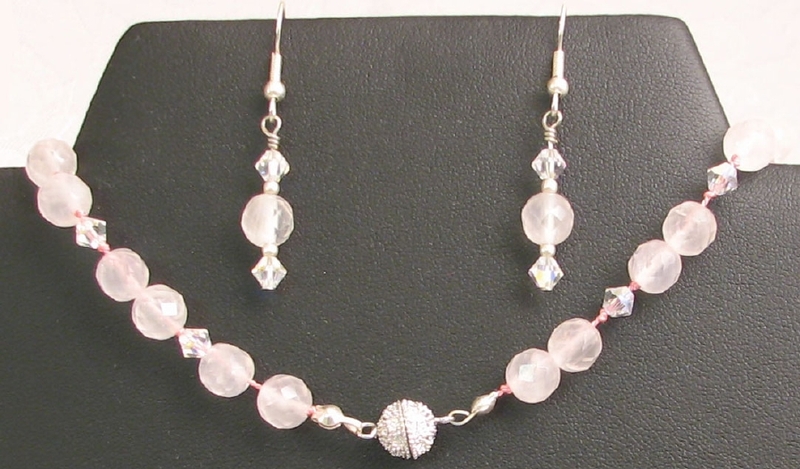 Rose quartz has been known by healers throughout the centuries as the stone of unconditional love. In order to love others, one must first love oneself, so rose quartz is said to encourage self-forgiveness and acceptance, which is the precursor to this. Rose quartz also brings emotional harmony to the wearer, and can help one restore a calmer state after a time of chaos or crisis. It emits a calming energy which can affect all of the chakras, but mostly the heart and crown chakras, to very gently remove negativity. In communication with others, rose quartz promotes connection from the heart chakra. This stone is excellent for balancing yin/yang energy, especially in those circumstances where the feminine aspect is suppressed by the masculine. Rose quartz vibrates to the number 7, the number of the divine.